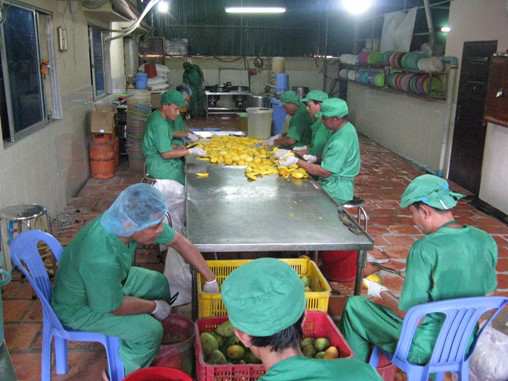 Our project in Cambodia, Cambodian Harvest has for a long time provided care with excellence to landmine accident suvivors through its fruit processing factory. Many people have been effected long term as the factory grows and develops and becomes more sustainable each year. The big focus for 2016 has been building a new factory site on land that was purpose bought for the work many years ago and serious progress has been made with a new factory completed in May 2016 and staff residences nearing completion. Marion Fromm who leads the work there is an amazing woman whose care and determination to help those who have been severely disabled by landmine accidents has been recognised over the years by government and other agencies alike, most recently, Marion was a finalist for the Telstra Business Awards – Woman of the Year, but was pipped at the post on the award night. juncture are facing a financial challenge and need our help. In the coming weeks Cambodian Harvest need to raise more than $50,000 in order to complete building works at their new factory site. These include a road $5,000, a new well and water pumps $8,000, and a 3 phase transformer $24,000. The balance of funds will be used to complete building works that are still in progress. As you consider giving this Christmas please consider making a tax deductible donation to Cambodian Harvest through our secure site. By doing so you will rewarding the excellence shown by Marion and her team and helping them to focus those same standards of excellence into the coming year. 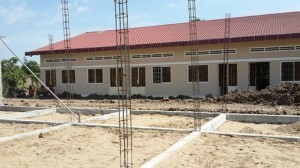 Donations can be made here just select Cambodian Harvest Building Appeal as you donation target.